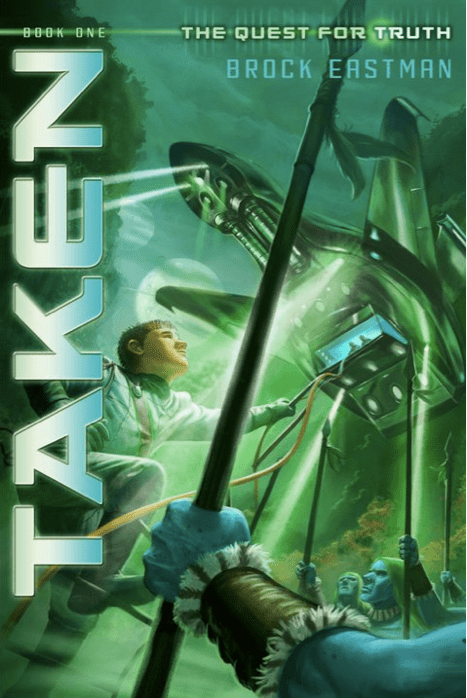 If you want to get your pre-teens and teens reading, then hand them a copy of “Taken.” This book is brought to you by FOCUS ON THE FAMILY and P & R Publishing. The book is a fast paced adventure story. “Taken” was like a movie of word pictures floating through my mind that I thoroughly enjoyed viewing. I was totally captivated and immersed in the story, so much so, that I was disappointed when the book came to an end. As a kid, I enjoyed reading science fiction, but really didn’t read it often. This book was wholesome, creative, and very enjoyable. The suspense and adventure was endless. The writing was detailed and concise, no words were wasted. This is a book that you will read in one sitting because it is so gripping. Immediately, you know what is going on, the action is consistent throughout each chapter. You also find your way into the story as a spectator watching events unfold before your eyes. The story is about 4 siblings who are trying to rescue their parents who were captured and taken by soldiers. The children face many challenges within themselves as well as among each other which causes challenges to increase and make their adventures much more colorful. The oldest, Oliver, is learning how to become a man and make real life changing decisions, which every parent wants their child to succeed at. I really liked that his actions were not predictable. As a Mom of twins, I found myself really wanting to reprimand Mason and Austin two of the book’s most mischievous characters that are also 11 year-old twins. Brock did an excellent job of painting the personalities of the boys with balance and opposition, much like my own twins, they couldn’t be more different. However, if for any reason they thought or worried about the other, all of sudden whatever spat or disagreement was among them would no longer be an issue and only love and compassion would arise. Those two boys will make you angry at their foolishness, but then in other passages, you want to hug them and console them. Disclosure: I received a free Kindle copy of the book in exchange for an honest review. Learn more about Brock D. Eastman. WINNERS CHOOSEN: Congratulations Jolee and Gail!